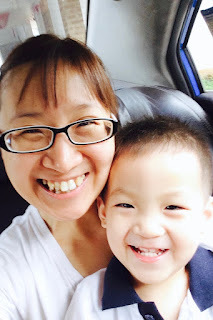 This year marks the beginning of a new "era" of homemaking when I finally can have a 2.5 hours slot during which ALL 4 of my children will be in school. Apart from the pregnancies, I have never had any time to myself during the day to peacefully and leisurely complete my chores without multitasking. As Joram, my littlest kid, enters nursery 1, I look forward to easier days. 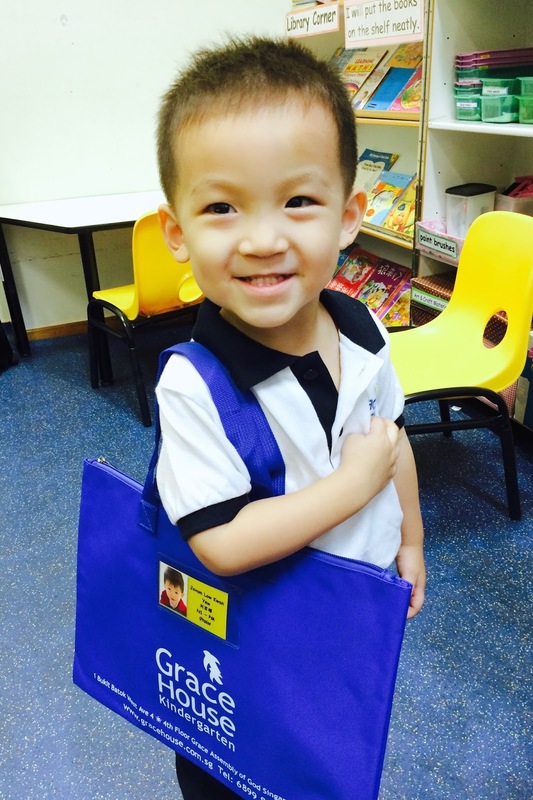 Joram has been so looking forward to going to school for the past few months. 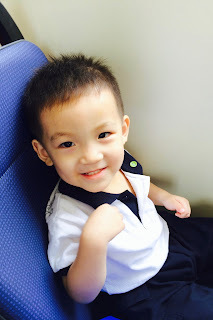 He started saying he wanted to go to school with her sisters whenever I was was sending them up the school bus. 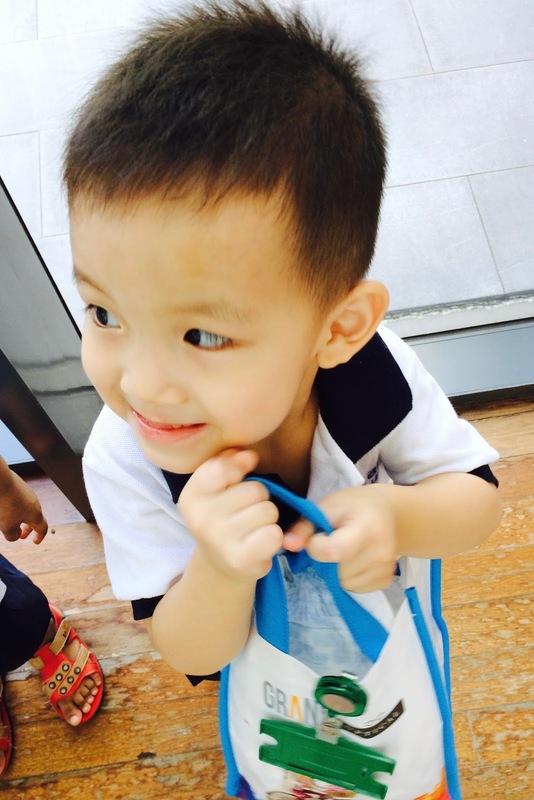 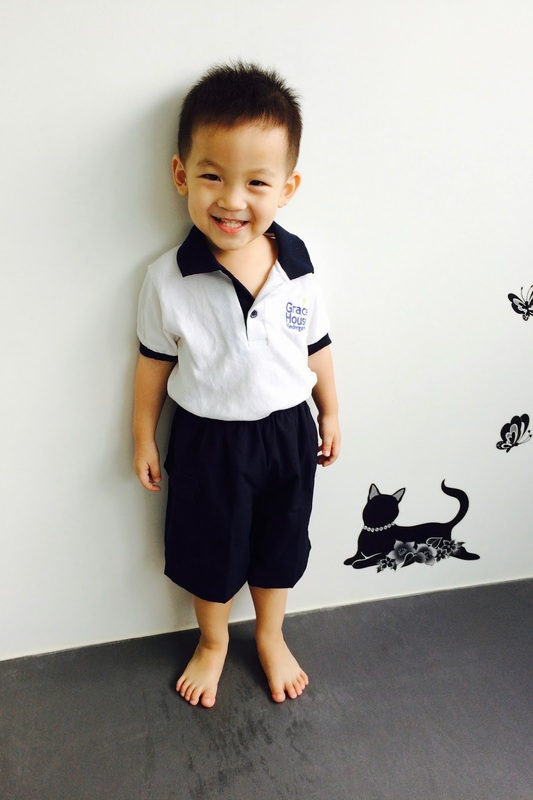 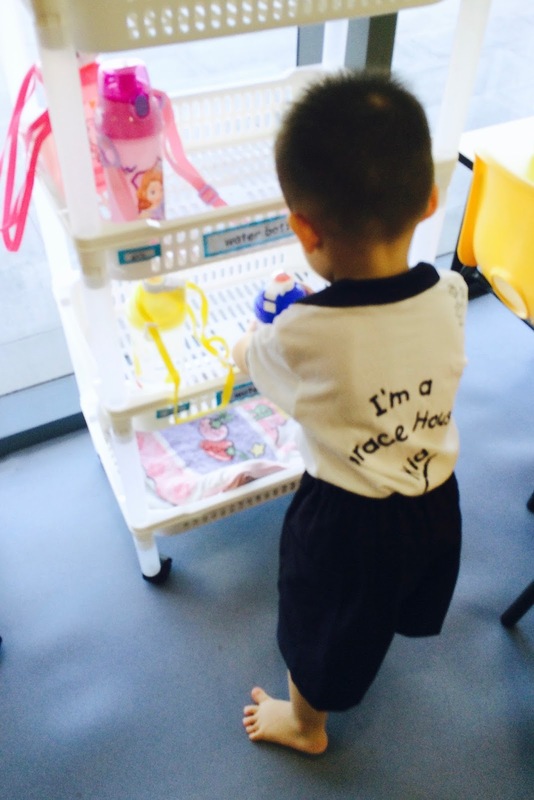 Today, he was absolutely delighted wearing his school uniform for the first time. 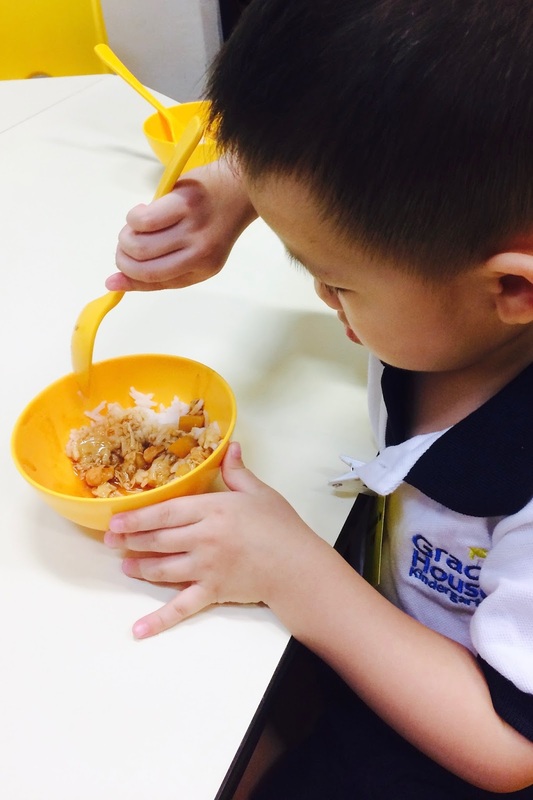 He did very well the entire time at school and cooperated with the teachers perfectly. 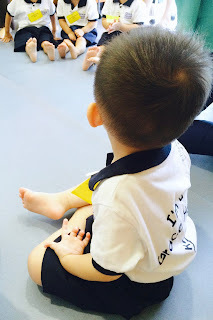 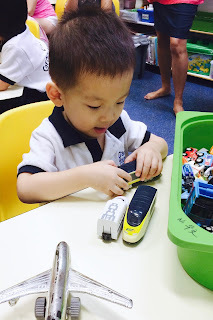 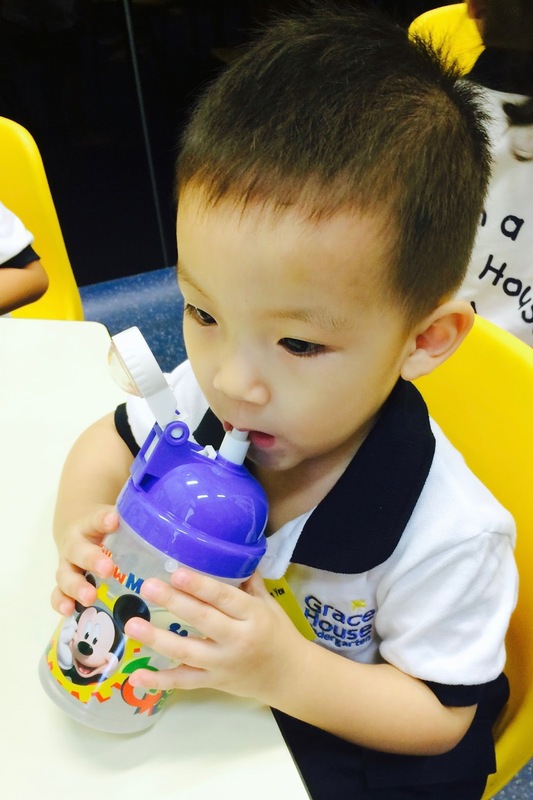 He only started tearing when the teachers asked him to keep the toys while he was playing with his favourite toy trains so that they could move on to the next program. 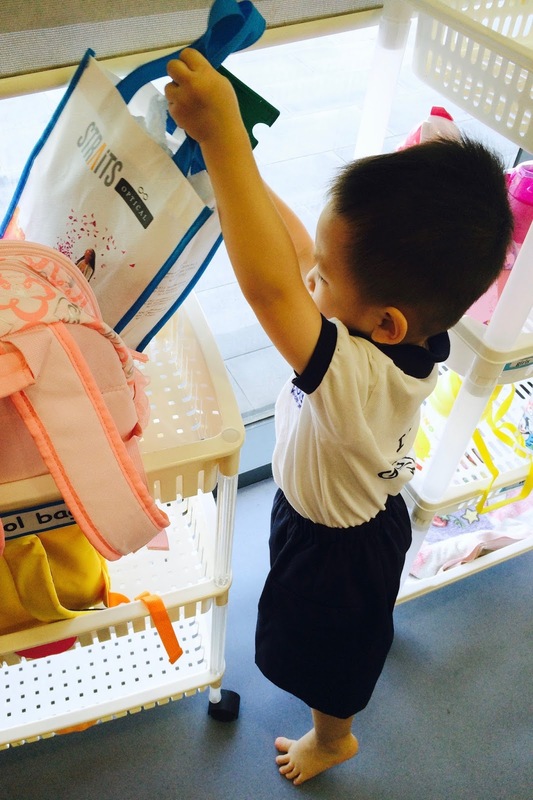 He'll just have to get used to having only small pockets of time for toy-playing while at school. Got a new school bag!